I decided to send back my sony 35mm 1.8 becuase I hardly used it, it's inability to zone focus, and it's beeing incompatible with the A7 (which I would like to get soon). 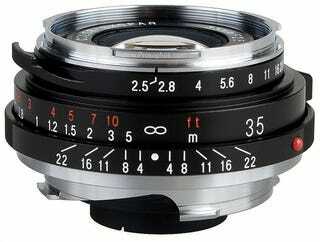 So I'm now looking at the voigtlander 35mm f2.5 and the voigtlander 25mm f4. I like the 25 for having a really big range to zone focus with in f8 but I like the wider aperture of the 35. I also like the framing of the 35. I'm also open to other suggestions for other wide m mount range finder lenses around the $400 -$500 range.